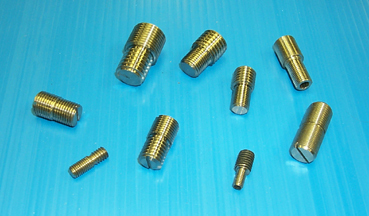 These studs are made in small batches to adapt Dukane horns to competitive boosters/transducers and vice-versa. If the size you need is not shown available, select OTHER as the threads option, make a note on your order, and we will try to accomodate your need. Not recommended for volume production. Note on lead time: Some of the common combinations are available from stock, while others will need to be made custom. 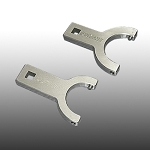 If you cannot live with a 2-3 week lead time on this item, consult the factory and we will see what we can do for you.